Easter is an important time of the year, and to have some good latest top Hollywood movies about Easter Christian with kids and family is a way to celebrate the Christian faith. While not too many Easter Christian themed movies are available, Christians are still excited about Easter Christian movies out in 2016-2018. Indeed, 2018 brings a few good movies for faith-based audience. Here we gather the most anticipated Christian themed movies for Easter to watch with kids and families. Easter Christian movies are a powerful way to commemorate the spirits of Easter Christ, that is sacrifice and hope. The latest Christian top movies for Easter 2018 picks here may not be serious Catholic movies, but they all center on faith in life and love of Christ. Just check the best 2016-2018 new Christian movies for kids/families to watch on Easter. 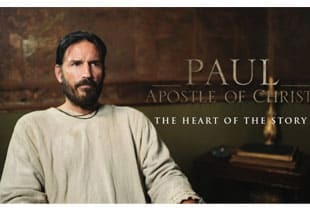 Plot: The biblical drama film starring James Faulkner and Jim Caviezel tells how Paul imprisoned in Rome is converted to Christianity and finally plays an important role in the formation of the early church. Early Review: This is a good Christian belief movie in 2018, which explains the power and importance of faith, persistence and forgiveness for Christians and non Christians. MacX Video Converter Pro - To watch Christian movies of 2016 on Easter with families and kids without limits, just download the new 2016 Christian Easter-themed movies offline from YouTube, Dailymotion, Metacafe, Pandora TV, movieclips.com, moviefone.com and 300 more. Fast speed! High quality! 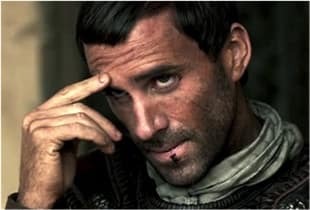 Plot: After the Resurrection of Jesus Christ, Clavius, a non-believer and a Roman Centurion, is required to investigate the rumors about a risen Messiah. During his mission to unfold the mystery of the Resurrection, he finds that he is facing with more questions. Early Review: Just another piece of new 2016 Christian movies for Easter? Not exactly. Taken in the point of view of a non-believer, Risen delivers something different, something that whether you believe in Jesus or not, will want to see it. Plot: Based on Anne Rice's novel Christ the Lord: Out of Egypt, the movie tells a story about how the young Jesus, at age 7, starts to learn his special capabilities and struggles to grasp the holy purpose of his life. Early Review: Focus Features is releasing another Christian belief movie during 2016 Easter season on March 23, 2016. 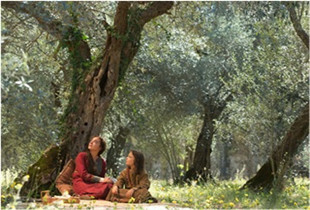 This Christian Easter movie starts with the unexplored moment of Jesus before the resurrection from a fresh new angle. It will be one of the most uplifting latest Christian movies 2016 for kids/whole family on the Easter. Plot: This movie, based on a true story, is about a family becomes upside down when their little girl who is diagnosed with a rare incurable disease and when her disease is miraculously cured after experiencing a serious accident. Early Review: Do you believe in miracles? This is not a movie about Jesus Christ, but it's definitely a faith-based movie. This 2016 Easter movie tells us that, as long as you have the faith, miracles will happen. Another good choice for 2016 Easter Christian family movies. Plot: God's Not Dead 2 centers on a Christian teacher who is at risk of losing her job and is forced before a judge for answering a student's question about Jesus. Early Review: the 2014 God's Not Dead is one of the biggest faith-drive box office hits, and its sequel "God's Not Dead 2" is hitting theaters on 2016 Easter. This Christian movie, with many famous faces, is likely another great piece of faith-centered entertainment aiming at sharing some great messages of Christ. 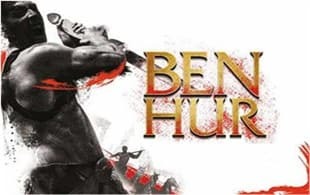 Plot: The movie is about Ben-Hur, a Jewish prince, was forced to separate from his family and woman he loved due to his friend's betrayal and finally survived slavery to seek revenge. Early Review: Ben Hur is one of the latest Christian movies 2016 Easter delivers. Considering that the 1959's adaptation of Ben-Hur becomes one of the best family Christmas movies for Christians, the 56-year-later remake arguably deserves to be one of the most-anticipated 2016 Christian family & kids movies. Plot: The movie tells a story about art dealer strives to save his marriage by helping a dangerous homeless man. And his wife's dream lead they three to start a journey into the unknown. 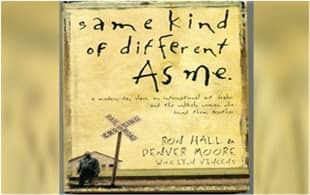 Early Review: Adapted from Same Kind Of Different As Me: A Modern-Day Slave, this upcoming faith-based Easter Christian movie centers on an unlikely friendship between two men who live vastly different lives and lifestyles. It's definitely a heartwarming pick for Easter with families. Want to watch those upcoming 2016 Christian movies on Easter with kids and families? You'd better free download Christmas movies, easter films, or some other Christan movies offline to get rid of any annoying buffering. MacX Video Converter Pro can liberate users from those limits of streaming online by download best Easter Christian movies of 2016, UHD/HD movie trailers, songs in MP4, 3GP, FLV, AVI etc from 1000+ movie video sites like YouTube, Dailymotion, Metacafe, Pandora TV etc. It keeps a perfect balance between fast speed and excellent output quality. Above we list all the best Christian belief movies 2016 for kids and families on Easter. Users may catch up with those latest Christian-themed movies with the above helper. For users who want some more classic Christmas movies, traditional Easter Christian films for kids or best family movies of 2016 and earlier, check the list below. MacX DVD Ripper Pro - Easily remove any DVD protection measures like Region Code, CSS, Sony ARccOS, Disney DRM, etc. 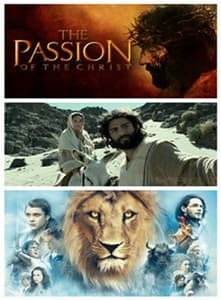 to make a 1:1 copy of any Easter Christian movies DVDs in MP4, MOV, AVI etc to iPhone XR/Xs/Xs Max, iPad Pro/mini 4/Pro, Android tablets and phones more! This movie centers on the last twelve hours of Jesus before his crucifixion. This movie is truly impressed and amazing on multiple levels. The movie vividly and accurately portrays the final hours of Jesus with stunning visual effects and powerful performance. A must-see Christian movie for every Easter. Not suitable for kids however. This movie is not about Jesus, but the story of the journey to Bethlehem of Virgin Mary and Joseph. The film captures the emotion, the hope, the awesomeness of the familiar story Nativity accurately. It's a lovely and nice story for a family and kids to get into the Christian mood. A good Christian movie for 2016 Easter or any Christmas night. One of the top Christian kids movies for 2016 Easter. In Narnia, we have lion, witch, wardrobe, prince, magic, and adventure story. It contains everything kids want into amazing pieces, while being entertaining for adults too with a theme regarding power and destination. You will never go wrong with Narnia series during any Easter or Christmas season.